Our third shortlist in the 2014 Coffee Spot Awards is the first new award this year, the “Coffee Spot with the Best Basement” Award. 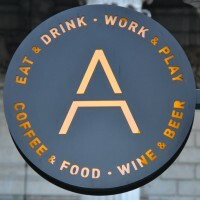 As regular readers will know, I have a soft spot for Coffee Spots with good basements and it’s about time I got around to recognising this with an award. There are eight Coffee Spots on the shortlist this year, all listed in order of publication. Boston Tea Party on Bristol‘s Whiteladies Road, joins a growing list of iconic spaces that the Tea Party has turned into outstanding coffee shops. However, it’s the only one I know with a basement, and what a lovely basement it is! Also nominated for the Best Breakfast Award. The Fleet Street Press fills a fairly awkward, long, thin space at the start of Fleet Street. Spread over two floors, the highlight is a cosy basement, stuffed with sofas and armchairs, although upstairs, with its bright, window seats, bar opposite the counter and intimate nook at the back, is pretty decent too. Mrs Atha’s is perhaps one of the most complete coffee shops I’ve been to in ages. With a lovely interior, cosy little basement and small outside seating area, there’s plenty of seating options. The coffee, food and cake also excel! Also nominated for the Best Breakfast Award. What is it with Leeds and basements? Although on a different scale to Mrs Atha’s, the basement at Laynes is even cosier, just a short corridor and a simple room at the end, it’s a welcome escape from the bustle of the upstairs. Also nominated for the Best Coffee Spot Near a Railway Station Award. Technically, Cult Espresso doesn’t have a basement (it’s actually a very long corridor with a room at the back), but it feels enough like a basement for me to include it here. 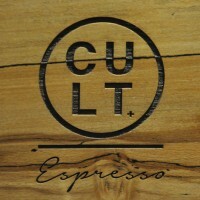 Serving some superb coffee from coffee from Bath’s Round Hill Roastery, Cult Espresso has lots of seating options, including a cracking sofa right next to the counter in the most basement-like part of the shop. 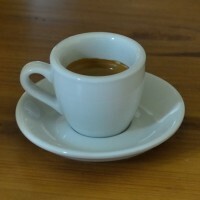 Also nominated for the Best Espresso Award. Although Artigiano Espresso has a lovely upstairs, with a cracking view of St Paul’s Cathedral, I’m drawn to the basement, especially in the winter. It’s snug and cosy, but quite long, with high ceilings and a massive mirror which help to make it feel much more spacious than it actually is. There are a couple of great little nooks at the back where you can hide out if you like. Also nominated for the Best Outdoor Seating Award. Okay, now I am cheating, since Foxcroft & Ginger is from 2013 and so is strictly ineligible for the 2014 Awards. However, this award wasn’t around last year and Foxcroft & Ginger has my favourite basement of all time. A special mention also needs to go to Number 35 Coffee House & Kitchen in Dorchester. Like Cult Espresso it’s technically not a basement, but the back room really feels like one. Don’t forget to check out the other 19 Coffee Spot Awards for 2014.